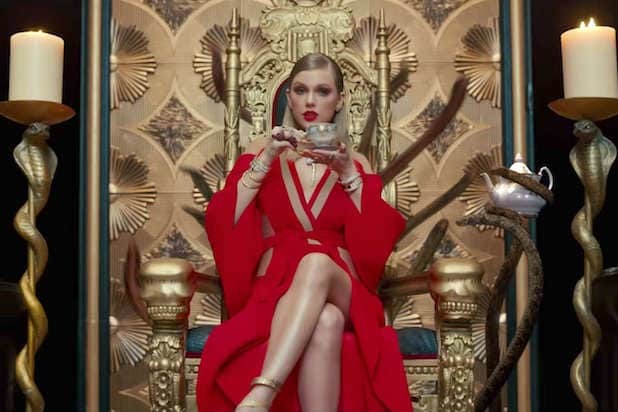 Taylor Swift‘s “Look What You Made Me Do” dominated the charts and the conversation in the music world last week, but its reign is now being threatened… by another Taylor Swift song. 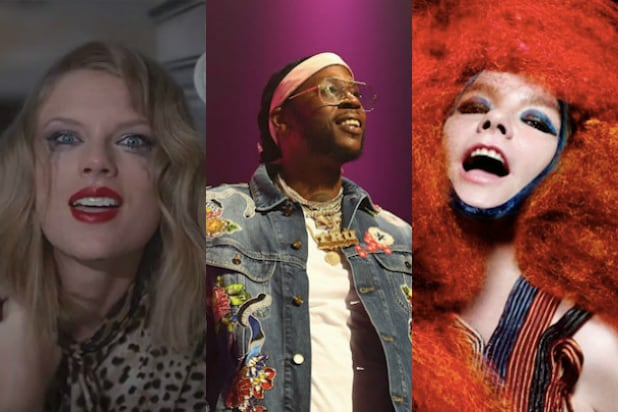 “…Ready For It?” was first teased on Saturday, as a snippet from the song was used on ESPN to introduce the Alabama/Florida State football game. The song takes a darker turn than much of Swift’s past work and describes the start of a new relationship. Swift‘s “Reputation” will be released Nov. 10. Check out fans’ reaction to the new single below. Was not ready for Taylor Swift to release #ReadyForIt *warms up voice* IN THE MIDDLE OF THE NIIIIIIIIIIIIGHT. This indie musician teamed up with Pitchfork and Inception (a VR media company) to release a VR music video for his song, "This Old Dog." It's only available through Inception, but you can view the 360 version on Pitchfork's YouTube channel. Last year, the Icelandic singer/DJ launched Björk Digital, "an exhibition of groundbreaking VR video works" featuring music from her album, "Vulnicura." The exhibit includes 360 video, surround sound and costumes in 3-D.
Megadeth released five VR music videos for its 2016 album, "Dystopia." The album comes with foldable VR goggles that fans can use for viewing. Lead singer Dave Mustaine described the band's videos as "cool metal origami." This technically wasn't a hologram--rather a really convincing CGI--but it still counts. The late rapper Tupac's "performance" with Snoop Dogg and Dr. Dre at Coachella 2012 was the talk of the festival. For their 50th anniversary, The Who created "The Who Immersive App." Described as a "virtual Whoseum full of the energy, outrageous musicality and rebelliousness of The Who," the app showcases various 3-D images based on famous landmarks. Why just watch a charming relationship turn toxic when you can feel like you're a part of it? Through an app called Amex UNSTAGED, fans can explore the rooms of the mansion in which Taylor Swift filmed her "Blank Space" music video.